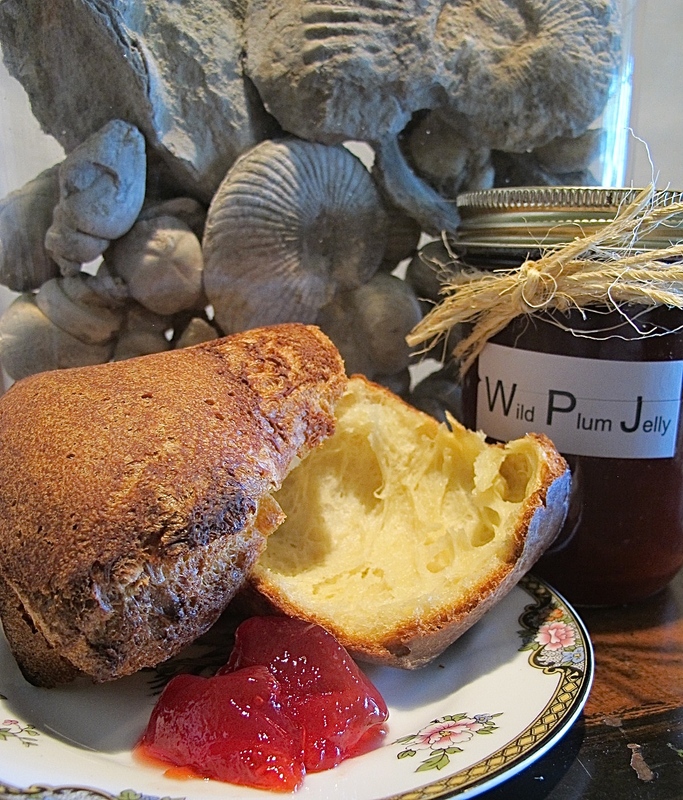 Home Most Popular Making Wild Plum Jelly – An Ekstrom Family Tradition! 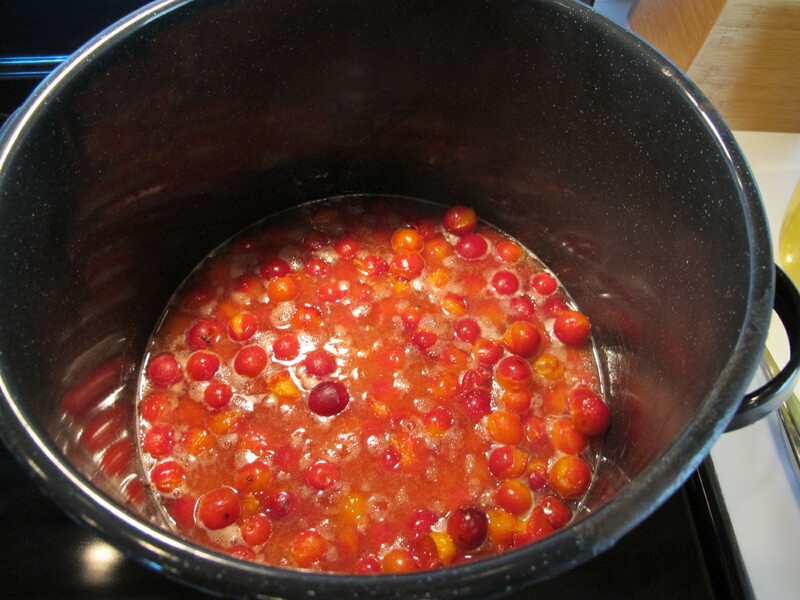 Making Wild Plum Jelly – An Ekstrom Family Tradition! Every summer the Ekstrom’s make homemade wild plum and mustang grape jelly. It’s a family affair. Everybody, young and old, helps. As Texas cattle ranchers, going back at least five generations, we do it the old fashioned way. 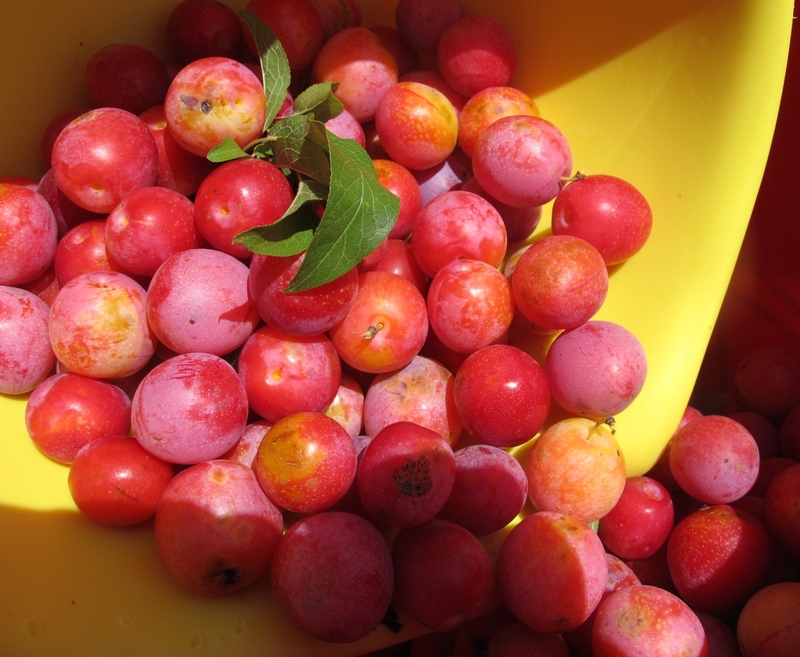 Gather wild plums, figuring 12 cups of plums will yield about 4 cups of jelly. Rinse plums and then put them in a suitably sized pot. Add water only until it just can be seen through the top layer. Too much water dilutes the jelly. Boil plums on low to medium heat until soft. Pour the contents through a jelly strainer or cloth. The contents will be pulpy and very slow to strain. 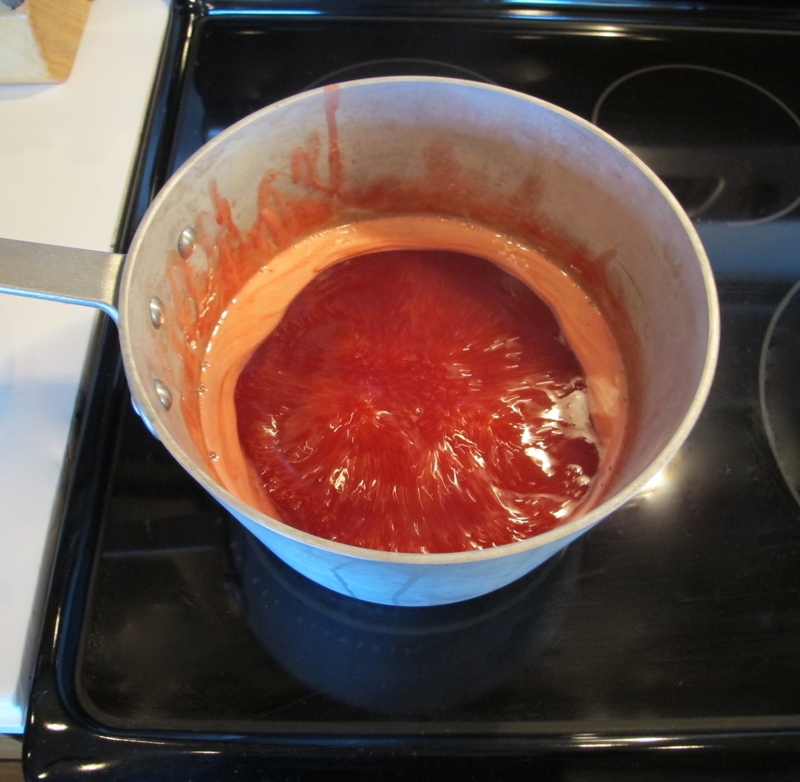 Use a spatula or wooden spoon to clear the strainer, but do not force the pulp – that will result in cloudy jelly. Measure the strained juice and put it into a large uncovered enamel or stainless steel pan. Bring the juice to a boil on medium heat. Simmer the juice, uncovered, for about 5 minutes. Skim off any froth that forms. Add ¾ cup of sugar for each cup of juice, and stir until it dissolves. Start testing the juice 10 minutes after the sugar has been added. Spoon out a small amount of jelly, allow it to cool a little, and then turn the spoon to let the jelly drip, off the edge of the spoon, back into the pan. As the jelly jells, 2 large drops begin to form along the edge of the spoon. The jelly is almost ready. When the liquid drips off the spoon in a sheet, the jelly is ready. This may take up to 30 minutes, but be patient. Remove the jelly too early and it will not set properly. 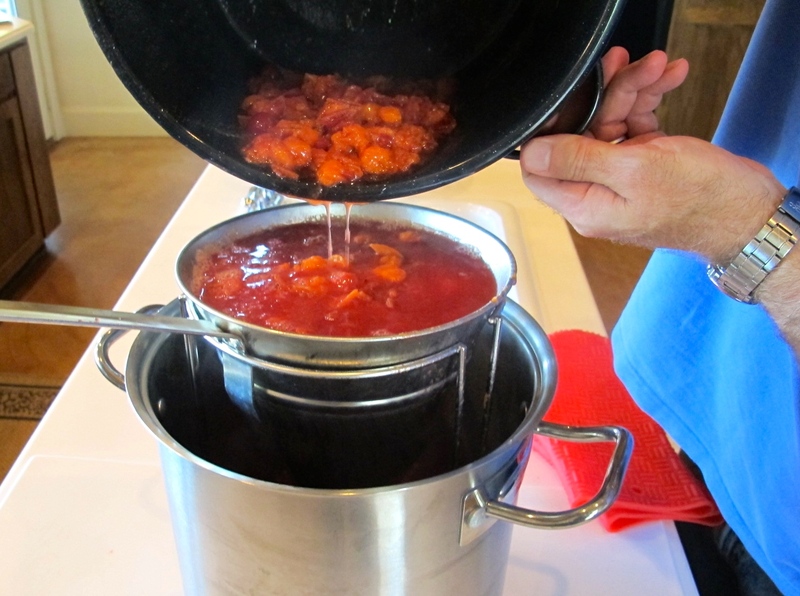 Once the “sheeting stage” is reached, the jelly can be taken from heat and poured into jars. Use jars with a two piece metal screw down lid. Be sure the jars are clean and dry. I warm them for ten minutes in a 220 degree oven. 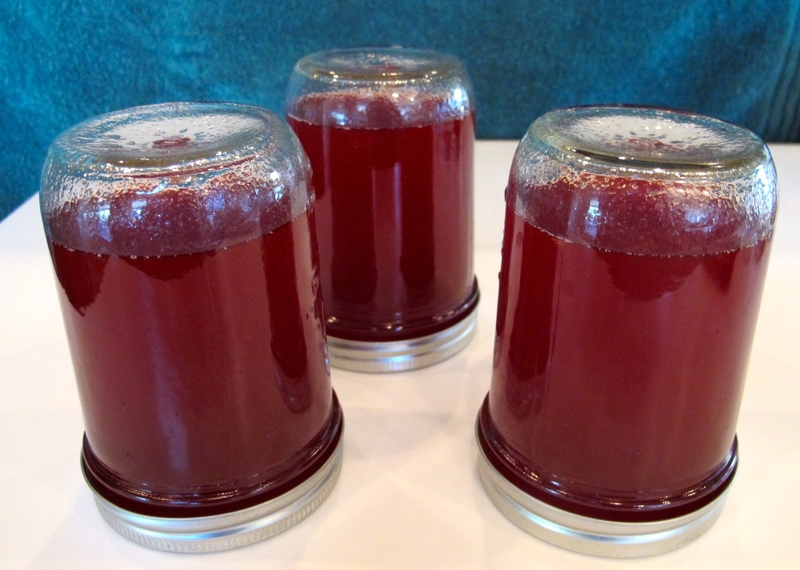 Pour the jelly into the jars, to within ¼ inch of the top. Put the lid on, tighten it, and turn the jar upside down for a few minutes to get heat on the seal. Any juice spilled on the rim MUST be wiped off or the seal will not take. Turn the jars right side up and let them cool. When you hear the lid pop the jar is sealed. Label them. And you’re done. Enjoy! My grandmother taught me years ago about the secret deliciousness of wild plums & mustang grapes. We always put some of the plum pits back in the jelly, my grandfather said it added more flavor. Good eyes my friend! Yes, that is a Neiman Marcus Popover! I will be posting the recipe and pictures soon! Yummmmmm let’s make some the next time I visit!!! *ever. That last “even” is supposed to be “ever.” Now I’m typing the same way I write by hand. My lowercase “r” looks like an “n” half the time. Derp. I had an aunt in Miss who used to make wild plum jelly which I absolutely loved. I have never been able to get the recipe, but this should be close. I just need to find some wild plums and I will be in heaven. Thanks for posting this.